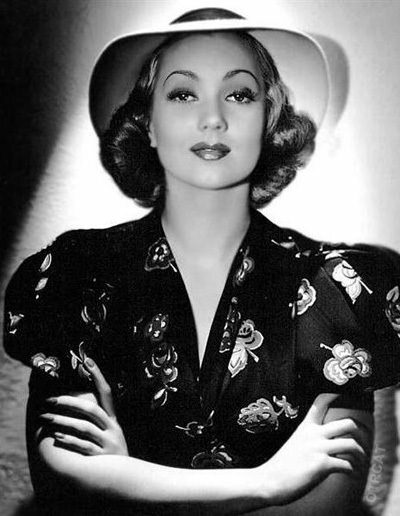 "Lux Radio: Mazie was a Lady"
Ann Sothern was best known in her role as Maisie Ravier, a sassy and street-smart American working woman turned woman of the world. That's in the best sense of the words, of course. In 1927, Ann Sothern graduated from Central High School in Valley City, North Dakota and moved to Broadway in search of stardom. By 1934, she signed with Columbia Pictures and in 1936 she moved to RKO. In 1939, she studio hopped again this time to Metro-Goldwyn-Mayer. MGM cast Ann Sothern in the title role of Maisie in 1939. Maisie was a burlesque dancer Maisie Ravier from Brooklyn who finds herself on a working ranch in Wyoming. It's the classic fish out of water story and became Ann Sothern's signature role. Maisie became a film series and a radio series The Adventures of Maisie which was on air from 1945 to 1947. 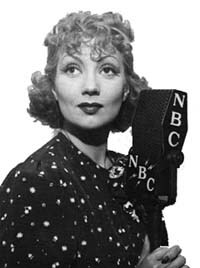 Throughout the 1930s and '40s, Ann Sothern like Lucille Ball and many performers in Hollywood, had not one but two careers - one in motion pictures and one on radio. Ann had started in radio as early as 1935, appearing on such variety shows as Rudy Vallee's "The Fleishman Hour" and Bing Crosby's Kraft Music Hall. She also did dramatic parts on Woodbury Playhouse, Screen Guild Theatre, and the biggest anthology of them all, Lux Radio Theatre. In 1949, Ann Sothern won an Oscar for her role in "A Letter to Three Wives." In 1958 she stared in "The Ann Sothern Show" which ran until 1961 and was highly successful. In 1987, she retired from her acting career and returned to small town life in Idaho. She died March 15, 2001. This collection includes all known appearances of Ann Sothern on various old time radio series including dramatic, variety, and comedy shows; disk 2 of this collection is her title appearances in the highly popular The Adventures of Maisie. Other exceptional actresses with radio shows were Lucille Ball, in My Favorite Husband, Eve Arden in Our Miss Brooks, Lauren Bacall in Bold Venture, Gertrude Berg of The Goldbergs, and of course, Gracie Allen of Burns and Allen.